DOD Drug Testing: What Kind of Drug Testing Does the Military Use? The US Department of Defense (DOD) requires all the active service members, including military and civilian to test for potential drug abuse and addiction. In fact, DOD drug testing aims to raise awareness about abuse of prescription or illicit drugs among its personnel. Firstly, there are use of prescription painkillers such as oxycodone and hydrocodone among the military personnel. As a result, this has raised questions about their abuse. Therefore, all the service members need to go for the DOD drug testing at least once in a year. According to a report by the Department of Defense Drug Demand Reduction Program (DDRP), 17-20% of the US males aged 18-25 years abuse drug. The DOD select most of the service recruitments from the people of this age group. For this reason, DOD drug testing program is very important to prevent and control drug abuse among military personnel. What Are the Drugs Tested in DOD Drug Testing? DOD drug test aims to detect the presence of one or more of the following drugs in the sample. DOD provides the cutoff levels for each of the drug. Therefore, if drug levels above this limit, it results in further investigations for drug abuse. How is DOD Drug Testing Carried Out? They test the urine samples collected during a drug abuse testing program. They store the samples at a DOD laboratory or a Deputy Assistant Secretary of Defense for Readiness approved one. The Military Service drug testing program manager supervises the entire test. Additionally, all the positive tests need to go through a medical review to ensure no case of valid use of medications gets penalized. First, they collect the sample only in the approved bottles. It should contain a label of the member’s full social security number (SSN). However, it should not include the name of the member or any document submitted to Service Forensic Toxicology Drug Testing Laboratories (FTDTL). The amount of the sample must be over 30 milliliters. Second, they transport the samples to the FTDTL using US Postal Service, approved commercial air, or by hand delivery. Third, they assign each sample a laboratory accession number (LAN) to help track inside the lab. Initial testing which identifies if probable drugs are in the sample. Additionally, it involves the use of Immunoassays for the detection. Then, they administer the Adjunct Screening Test after the initial test finds a large number of positive specimens. Confirmatory Test: Only positive results in the adjunct screening and warrant a confirmatory test. It involves the use of chromatography/mass spectroscopy (C/MS). As a result, this test helps to pinpoint a specific drug and quantity present in the urine sample. Fifth, they forward the documents after a confirmatory test to the forensic laboratory for further reviews. Finally, the commander of FTDTL holds the right to order a repeat test in cases when the test results are questionable. How Are DOD Drug Test Results Interpreted? 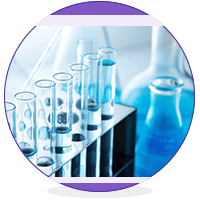 Once a sample goes through all the requirements for the tests of drug abuse, there are two possible results, i.e. Negative Test Result: The negative test is when all three tests show a negative result for a particular drug. Furthermore, professional reviews validates and certifies this. Positive Test Result: Tests that show a positive result in the initial screening test are considered positive. If applicable, they validate the test results by the adjunct screen and a further confirmatory test. The DOD maintain the documents with a negative test for a year, and those with a positive test, for at least 3 years. What Are the Provisions for A Retest? At this point, the member, their lawyer, the military judge, or their commander can request for the retest. The analysis for a retest involves chromatography/mass spectroscopy (C/MS). Accordingly, positive results in the DOD Drug testing can range from enrollment in a drug rehab program to removal. Still, if a member voluntarily admits the drug abuse, appropriate counseling and rehab may be provided. DOD drug testing is an important part of the entry and service in the US military. With the widespread use of prescription pain medications among the military personnel, there are always chances of drug abuse. 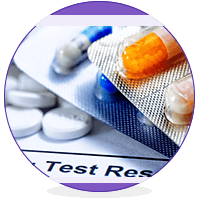 The DOD drug testing program aims to prevent and control drug or substance abuse. Additionally, it educates the military personnel about health and legal consequences of drug abuse. Do you have any questions about DOD drug testing? Or do you want to learn more about drug addiction and its treatments? Talk to the experts near you. Click here for details.